Born, July 1848; died, November 1849. The lilies of his Florence. And do not thou forbid them. “Meanwhile,” the mother cries “content! “Child, father, mother,—who, left out? Though she wrote of a child's grave in Florence the accompanying photo with this poem is in fact the grave of Elizabeth Barrett Browning. 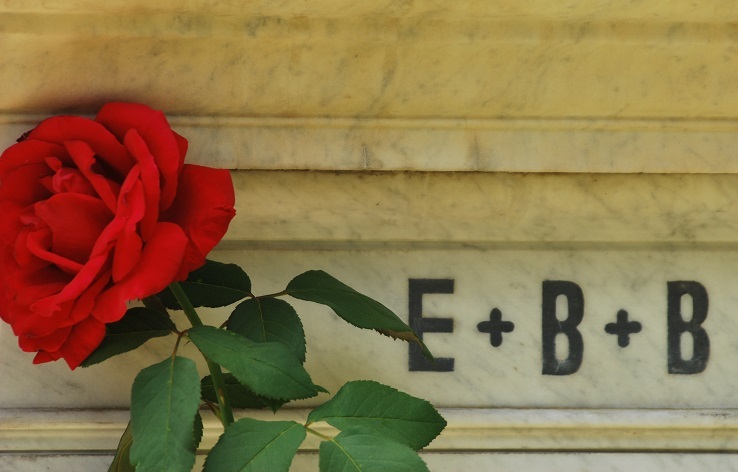 The famed poet is also interred in Florence, Italy and died this day in 1861.